One of the most critically acclaimed games of 2012 is going to be released on the Ouya. Telltale Games announced today that they're going to release their adventure game The Walking Dead on the Android-powered console along with its 400 Days downloadable content. 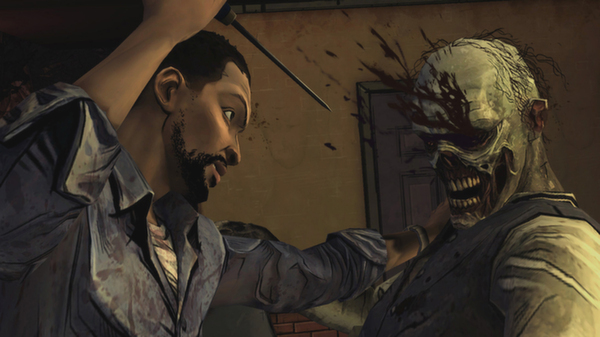 Season One of The Walking Dead, released last year, introduced us to Lee Everett. 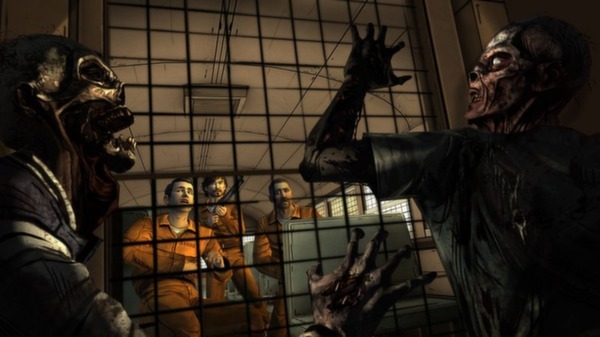 Everett is a convicted murderer who escapes his prison sentence in the wake of a zombie outbreak. He links up with a group of fellow survivors and becomes the unlikely guardian to a young girl named Clementine. The game mixed traditional point-and-click adventure gameplay with branching storylines, action and stealth. It was a big favorite among the Gaming Blend staff. 400 Days is a set of five short stories set during the outbreak. These stories introduce a brand-new set of survivors. 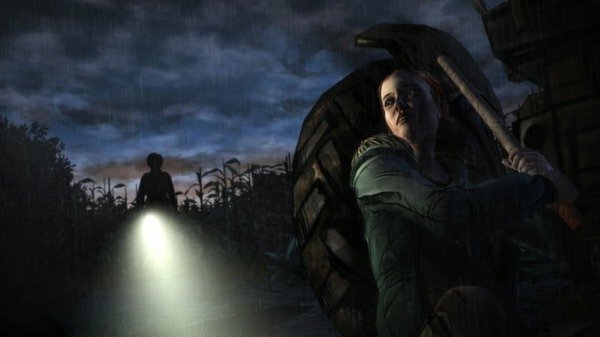 There are some small connections to the plot of Season One, though, and the choices players make in this DLC will affect the plot of Season Two. All five episodes of The Walking Dead's first season will be released on Ouya simultaneously this fall along with 400 Days. 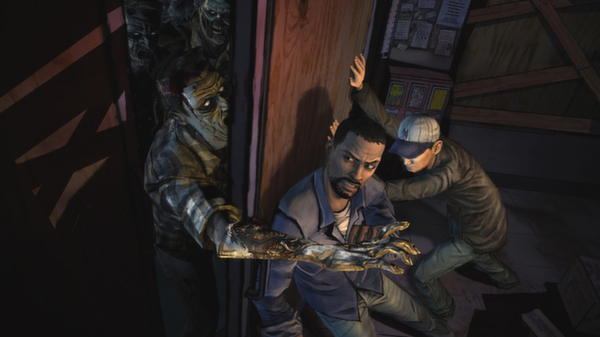 Like all Ouya games, Walking Dead will have a free trial. Players will be able to download and play through Episode One for no charge. "We have an OUYA set up in the office and the team's been discovering tons of great games from developers large and small, trying out a bunch of games we wouldn't normally be able to trial," said Telltale in a blog post. "We're all thrilled to add The Walking Dead to the mix on this platform!" 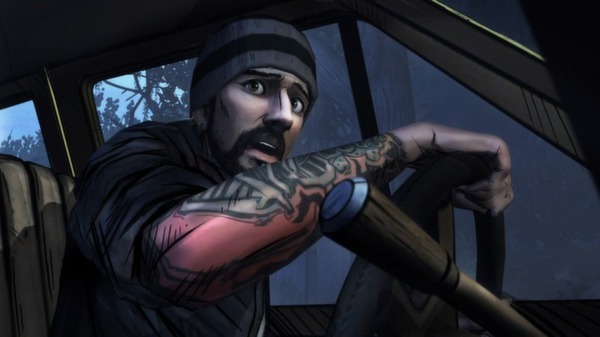 Telltale plans to release Season Two of Walking Dead on Ouya as well. The new season will debut this fall on the PS3, Xbox 360, PC, Mac, iOS and Vita. Not much is known about this new set of episodes except that it will bring back Clementine. 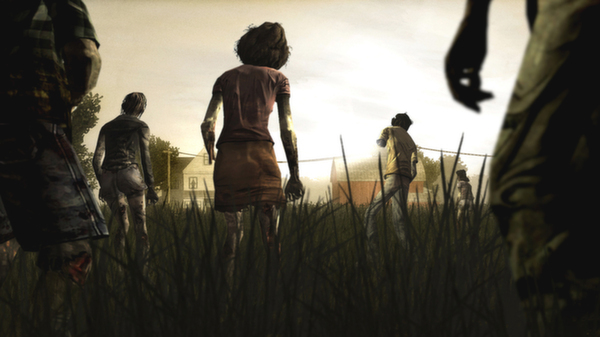 As a game that values story-telling over action, Walking Dead seems like a perfect fit for Ouya. It's not the usual blockbuster but it's still extremely popular among both gamers and fans. Walking Dead's presence on Ouya helps its image as "the console for innovative, original games" better than than any surreal, vomit-soaked ad could.